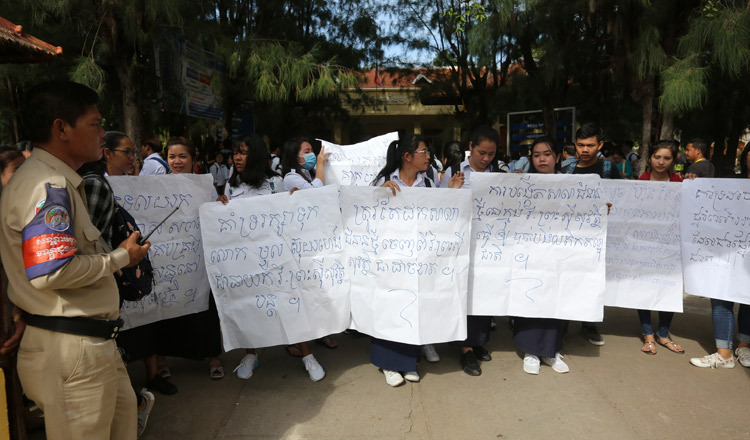 Following a two-day protest by hundreds of students and teachers at Preah Sisowath High School demanding the reinstatement of the school director, the Education Ministry yesterday transferred the director back to his old position. 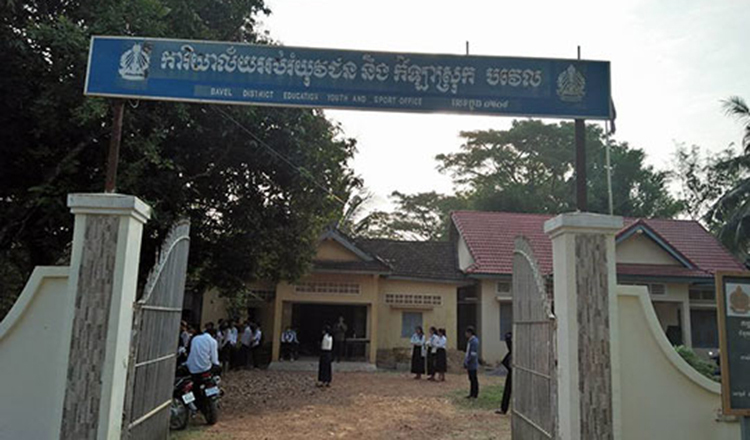 After a meeting between the ministry and teachers yesterday, Moul Soy Heng, the school’s director, was transferred back to his old position. During the protests, students and teachers claimed that Mr Soy Heng was poached by the New Generation School Programme. The ministry on Wednesday responded by saying that Mr Soy Heng was promoted to be a ministry official with the department of secondary, general and technical education due to his hard work. However, in a statement issued yesterday the ministry said that it sent an inspection team to audit the school prior to Mr Soy Heng’s transfer. The audit showed that he had misused the school’s budget and his leadership style led to mismanagement. The ministry did not detail the misappropriation, but added that Mr Soy Heng was reinstated after a vote was conducted with school teachers. 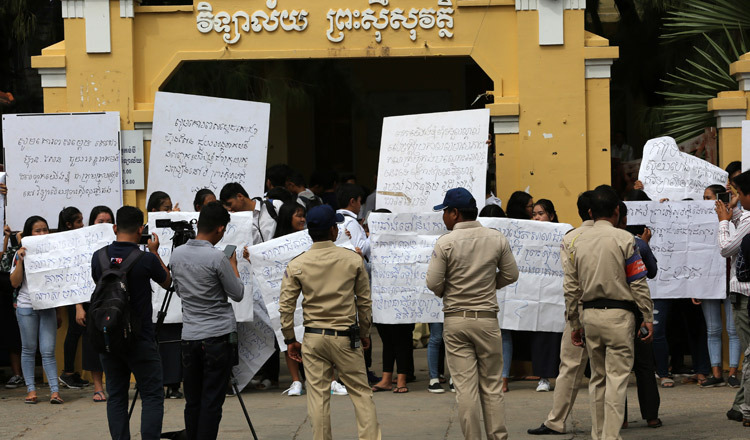 Education Minister Hang Chuon Naron said during the meeting yesterday that a compromise was reached by ministry officials and teachers. Som Komsan, deputy director at the school, said yesterday that the decision was lauded by teachers and students. He noted that there is no internal division over NGS-related issues. Khem Romnea, a teacher at the school, said yesterday that she is happy to have Mr Soy Heng back. 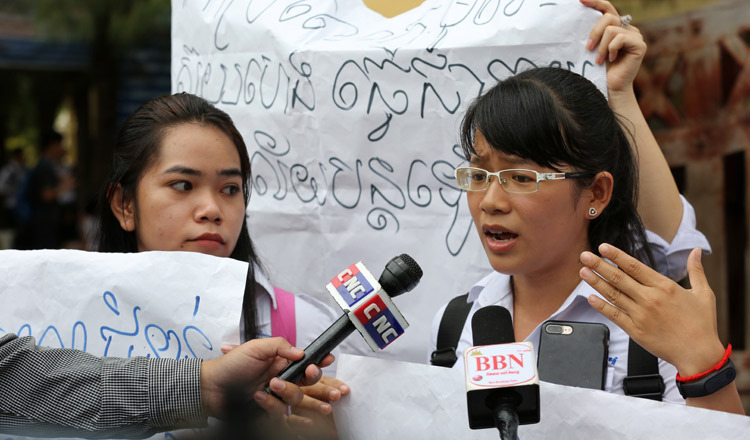 Khy Chang Hun, a student, said yesterday that she is satisfied with the decision to keep her school director. NGS is conducted in conjunction with the Education Ministry and Kampuchean Action for Primary Education in order to improve the quality of Cambodian education.